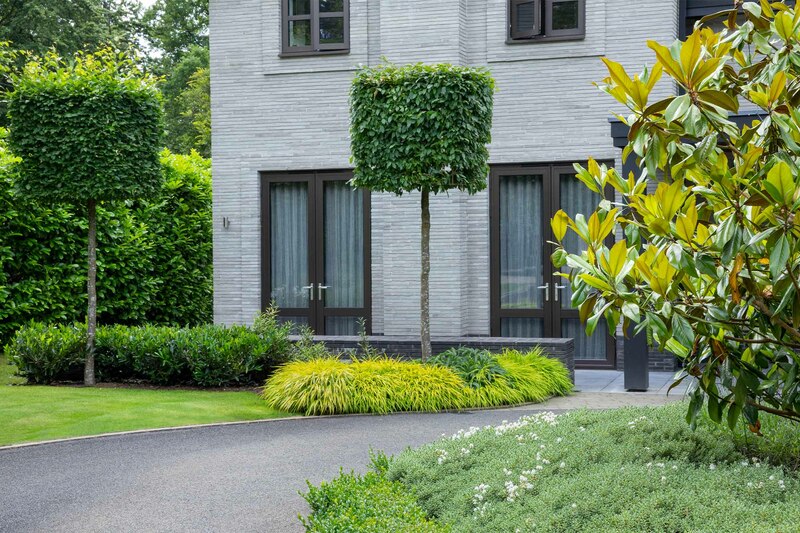 A low maintenance planting scheme was required to complement this new Dutch designed house. 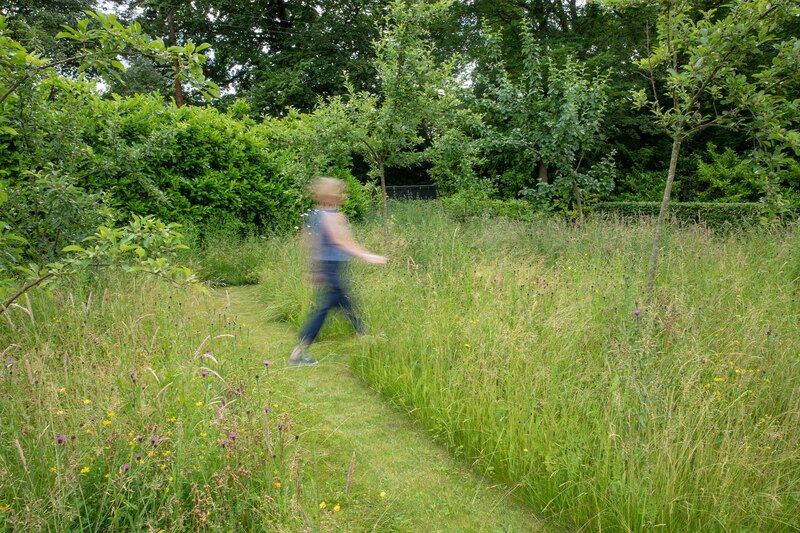 Within a strong geometrical ground pattern, areas of longer grass filled with summer flowering wild flowers, were allowed to establish around mown pathways. 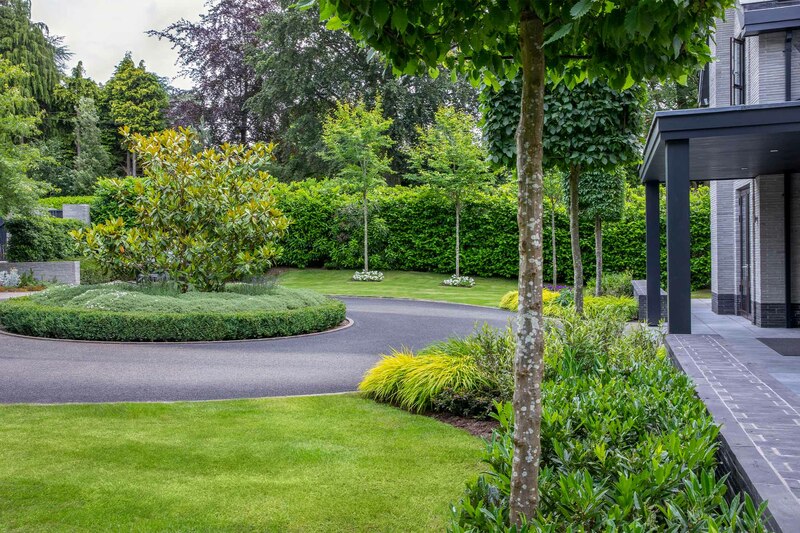 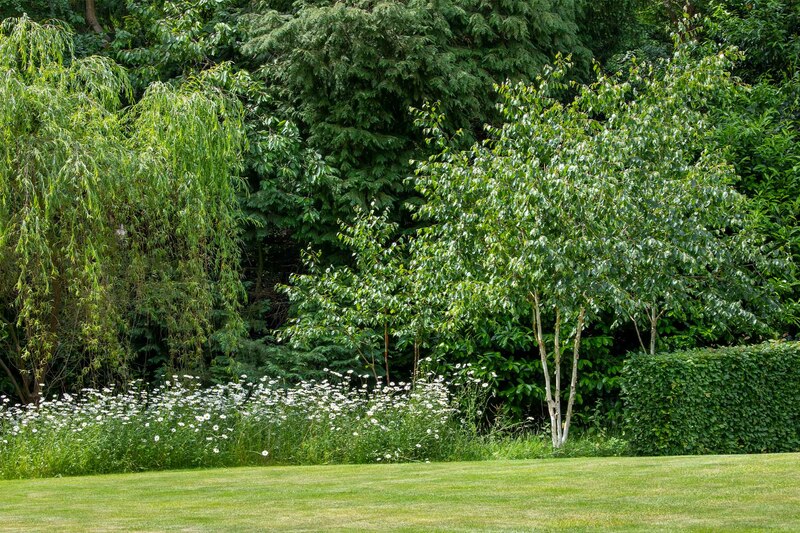 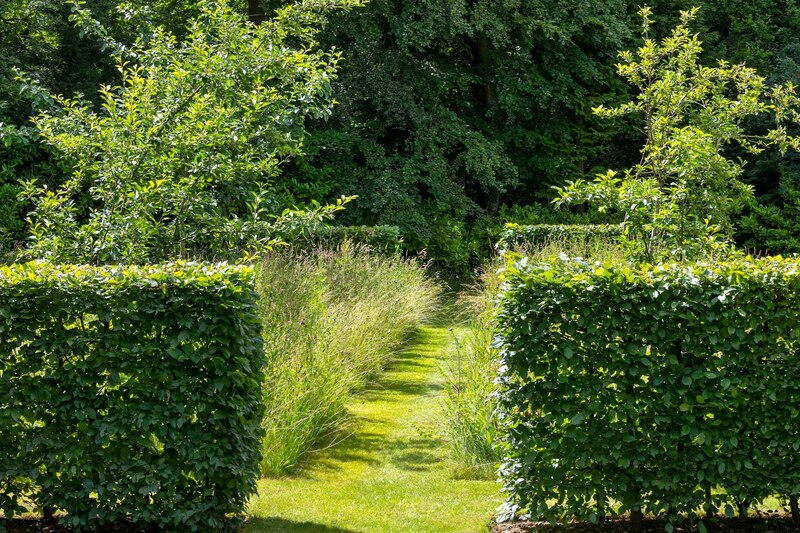 Clipped hedging, Birch, Amelanchier and fruit trees were used to define and punctuate the scheme.